Mr. Fairbank has over 20 years of investment management and private equity experience; he is the President of Orchard Capital Management. In 2004 he co-founded and led the investment team at Orchard Ventures, a private equity fund. He is the co-founder of several healthcare companies including Akebia (NASDAQ:AKBA) a spin-out from Procter & Gamble and Nymirum, a computational genetics firm where he serves as Executive Chairman. Fairbank began his career at Frank Russell, one of the original major hedge fund of funds and fund advisors. He later founded an investment office at Raymond James where he managed investments for large family investors. 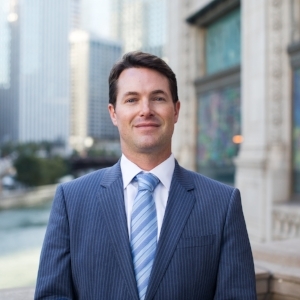 Josh received his BA from Connecticut College and his MBA from the University of Chicago, where he serves as Investor-in-Residence and is an Adjunct Professor. Mr. Harper has 20 years of investment management and advisory experience; he is the Chief Investment Officer of Orchard Capital Management and leads the family office that founded Orchard's small cap strategies in 2001. Previously, he worked at the The Boston Consulting Group (BCG), where he advised large hedge funds, Fortune 1000 companies, and other financial institutions on strategy, corporate development and operations. Prior to BCG he was a senior research analyst in the investment management consulting division of Greenwich Associates. He began his career as an analyst at PaineWebber/UBS. Blake received his MBA with honors from the University of Chicago and his BA from Colgate University where he concentrated on Economics and Political Science. He serves on several private company boards. 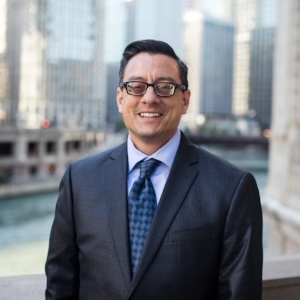 Mr. Valencia has 15 years of experience in investment management. Prior to joining Orchard, he worked at Northern Trust on the Small Cap team as an equity analyst/associate portfolio manager. He has a BS in Finance from Illinois State University and an MBA with honors from Lake Forest Graduate School. Mike is a member of the CFA Society of Chicago.